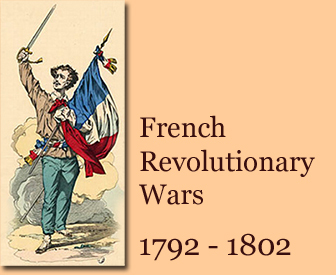 For a summary of events closer related to the Revolution see the Timeline of the French Revolution 1789-1799. French General Custine suffers defeat at the Battle of Hochheim. Here is the battle map. The trial of Louis Capet (formerly King Louis XVI) begins. It will continue until January 20, 1793. Today, it was decided on how to vote (nominal votes, not secret votes) and the order in which to proceed with this trial (determine guilt, then an appeal to the people, then the sentence). Session opened at 10 AM and finished at 9.30 PM. Trial of Louis Capet: Today, the chairman (the 40-year-old president of the National Convention, Pierre Vergniaud, from the Gironde department) opened session around 11 AM. It finished at 11 PM. Trial of Louis Capet: The marathon session started on January 16 at 10.30 AM and ended on January 17 at 11.00 PM. Today (and yesterday) Louis' sentence was discussed. For the death penalty voted 387, for detention or death with stipulations voted 334 men. To doubt your rights means to destroy them. Je déclare, au nom de la Convention Nationale, que la peine qu'elle prononce contre Louis Capet est la mort. I hereby declare, on behalf of the National Convention, that the sentence pronounced against Louis Capet is death. And here are the minutes of the trial, including the names of each deputy and the sentence they voted for. Execution of Louis XVI at Paris. The Second Partition of Poland is signed by Russia and Prussia. Britain orders the French ambassador to London, the Marquis de Chauvelin, to leave the country within eight days. France: Creation of the Army of the Coasts. Commander: La Bourdonnaye. British Horatio Nelson is the new commander of the HMS Agamemnon. France declares war on Great Britain and the United Provinces. The new French Defense Minister is Pierre de Riel de Beurnonville. He succeeds Jean-Nicolas Pache. Ligniville is the new commander of the Army of the Moselle. Biron is the new commander of the Army of Italy. Riots in the Vendee. The Wars of the Vendee begin. Battle of Aldenhoven. Austrian victory. George Washington, U.S. president since April 30, 1789, commences his second term and, with 135 words, delivers the shortest inaugural address at Philadelphia. Spain declares war on France. In July 1793, Portugal will sign a treaty with Spain against France. The Revolutionary Tribunal is created. The Wars of the Vendée begin. Dumouriez in open rebellion against the Convention. The Army of the Vosges is merged into the Army of the Rhine. Commander: Custine. The Republic of Mainz (French: République de Mayence, German: Mainzer Republik) is declared. It is also called the Rhenish-German Free State (German: Rheinisch-Deutscher Freistaat). The Republic of Mainz will end in July 1793. Battle of Neerwinden. Austrian victory. Battle of Leuven. Also called Battle of Louvain. Austrian victory. The Republic of Mainz (French: République de Mayence, German: Mainzer Republik) asks to become part of France. Although Paris is delighted, this won't happen because the Germans will be back soon. Dumouriez starts negotiations with Austrian commander Karl Mack von Leiberich. The French annex the Rauracian Republic (République Rauracienne) and make it one of their departements. Back in the days, it had been the Diocese of Basel (Évêché de Bâle). It became the Rauracian Republic on November 27, 1792. Now, it is the departement Mont-Terrible. Its name derives from Mont Terri (Mount Terri). D'Aboville is the new commander of the Army of the Moselle. The new French Defense Minister is Jean-Baptiste-Noel Bouchotte. He succeeds Pierre de Riel de Beurnonville. Dumouriez switches sides and defects to the Austrians. Big catch for the Austrians. He had been the French Foreign Minister when France declared war on Austria. Dampierre is the new commander of the Army of the North. He also has the command over the Army of the Ardennes. Leveneur is the new commander of the Army of the Ardennes (under Dampierre). Joining Dumouriez in defecting to the Austrians is Louis-Philippe, who will become King of France in 1830. This will get his father arrested tomorrow. The Committee of Public Safety is created today. Louis Philippe Joseph, aka Philippe Égalité, gets arrested today thanks to his son, Louis-Philippe, who deserted to the Austrians yesterday. Although Philippe Égalité had voted for the death of Louis XVI, this incident changes everything. He will be guillotined on November 6, 1793. The Siege of Mainz begins. It will end on July 23, 1793. The British, led by Cornelius Cuyler and John Laforey, recapture Tobago from the French who had occupied the island since 1781. The first president of the United States, George Washington, issues a formal proclamation of neutrality. France was hoping for ties a little bit closer than that. But then again, so was Britain. The Revolutionary Tribunal finds Marat not guilty. Houchard is the new commander of the Army of the Moselle. D'Ornac is the new commander of the Army of the Alps. The Army of the Interior becomes the Army of the Coasts of La Rochelle. The Army of the Pyrenees is split into the Army of the Eastern Pyrenees (Commander: De Fiers) and the Army of the Western Pyrenees (Commander: Servan). Brunet is the new commander of the Army of Italy. Lamarche is the new commander of the Army of the North. His post is temporary. Kellermann is the new commander of the Army of the Alps. The Siege of Valenciennes begins. The allies are led by Frederick Duke of York, who commands a joint army consisting of his British forces and part of Coburg's Austrian army. Travelling along and observing is Metternich. This siege will end on July 28, 1793. Custine is the new commander of the Army of the North. He also has the command over the Army of the Ardennes. Biron is the new commander of the Army of the Coasts of La Rochelle. Alexandre de Beauharnais is the new commander of the Army of the Rhine. Fall of the (Brissotins) Girondins. The moderate Girondins are ousted from the National Convention. France will now experience an intensified struggle between supporters of the National Convention (Montagnards, Sans-culottes, Jacobins) and supporters of the Girondins (counter-revolutionaries who soon will be called Federalists). Entire cities, in support of the Federalists, will break out in open revolt against the National Convention government, e.g. Lyon, Nimes, Toulouse, and Marseille. The British try to isolate France and issue an Order-in-Council. Henceforth, any vessel bringing flour, corn, or meal to France will be seized. The next order-in-council will be issued on November 6, 1793, and it will be a doozie. Today, the National Convention approves of the Constitution of the Year I, or Constitution of June 24, 1793. The National Convention decides to shelve this constitution for the moment in order to focus on solving the war and internal troubles first. It will never be implemented. La Bourdonnaye is the new commander of the Army of the Western Pyrenees. His post is temporary. Decree on the organization of relief to be granted annually to children, the elderly, and the needy. D'Elbecq is the new commander of the Army of the Western Pyrenees. Charlotte Corday, a Girondin, assassinates Montagnard leader Jean-Paul Marat in his bath. The Siege of Mainz ends. It had begun on April 14, 1793. The French withdraw. This is the end of the Republic of Mainz. 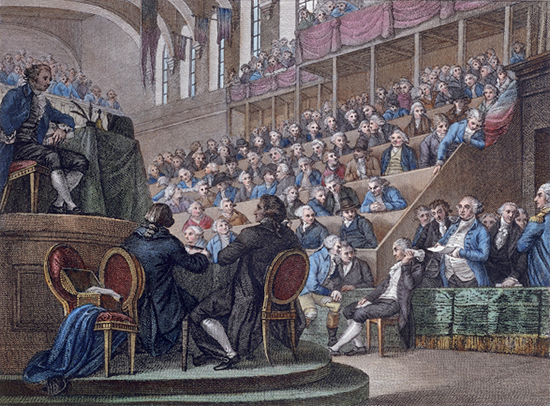 Robespierre becomes member of the Committee of Public Safety. The Siege of Valenciennes ends. Allied victory. This siege had begun on May 23, 1793. Rossignol is the new commander of the Army of the Coasts of La Rochelle. An Austro-Prussian army begins the siege of Landau. They will withdraw on December 27, 1793. Kilmaine is the new commander of the Army of the North. His post is temporary. Dumerbion is the new commander of the Army of Italy. Lyon is under siege by forces of the National Convention. The city will surrender on October 9, 1793. Houchard is the new commander of the Army of the North. Landremont is the new commander of the Army of the Rhine. Battle of Furnes. (Battle of Veurne). Victory for Lazare Hoche and the French. To kick the fight against the First Coalition up a notch, the French National Convention orders a mass recruitment (levée en masse) of all unmarried men and widowers without children between 18 and 40, and a seizure of goods for the war effort. The Siege of Dunkirchen (Dünkirchen, Dunkirk, Dunkerque) begins. Frederick Duke of York was feeling spunky after having taken Valenciennes. Against Coburg's advice, he took his men away from the main Austrian units, arrives at Rosendael and laid siege to Dunkerque. This siege will end on September 8, 1793. 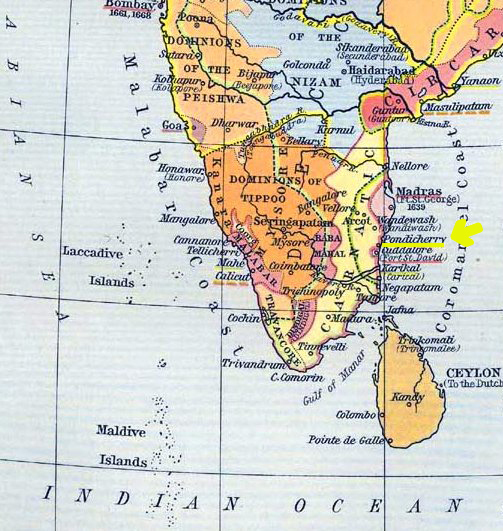 In India, the French lose Pondicherry (Pondichéry). At 9.00 AM French forces leave the city through the Villenour gate, while British forces enter the city through the Madras gate. Santerre is the new commander of the Army of the Coasts of La Rochelle. Troops sent by the National Convention enter Marseille and crush anti-government rebels. French General Custine meets the guillotine. French royalists invite British Vice Admiral Lord Hood and Spanish Admiral Juan de Langara and their men to take over the port of Toulon, a major French naval base, in order to defeat it against the French revolutionaries. Després-Crassier (Deprez-Crassier) is the new commander of the Army of the Coasts of La Rochelle. The commander of the newly created force that will set up the four-months-long Siege of Toulon is Carteaux. This force is also called the Army of Toulon. Many troops from the Army of Italy are transferred to this corps. Eh bien Législateurs, placez la terreur à l’ordre du jour ! Well Legislators, make terror the order of the day ! Battle of Hondschoote. French victory. The Siege of Dunkirchen ends. Frederick Duke of York and his besiegers had to withdraw with the quickness when French General Jean Nicolas Houchard was suddenly breathing down their necks and, simultaneously, the good people of Dunkirchen, led by Lazare Hoche, came out of their city ready to rumble. Part of the army withdraws to Nieuport (Nieuwpoort), where the French will knock at the town doors on October 24, 1793. The National Convention decrees the Revolutionary Government until peace is restored. Doppet is the new commander of the Army of the Alps. The Law of Suspects is passed, authorizing the creation of revolutionary tribunals to try those suspected of treason against the Republic and to punish those convicted with death. Dagobert is the new commander of the Army of the Eastern Pyrenees. His post is temporary. With great pomp and celebration, George Washington lays the U.S. Capitol cornerstone. Jean Baptiste Jourdan succeeds General Jean Nicolas Houchard as commander of the Army of the North. Jourdan has also the command over the Army of the Ardennes. Also on September 22, 1793: Battle of Trouillas (part of the Roussillon Campaign) - Spanish victory over the French. Man of the day was Spanish General Antonio Ricardos y Carrillo. D'Aoust is the new commander of the Army of the Eastern Pyrenees. His post is temporary. Delaunay is the new commander of the Army of the Moselle. His post is temporary. The Army of the Coasts of La Rochelle, The Army of Mainz, and part of the Army of the Coasts of Brest are merged and now called the Army of the West. Carle is the new commander of the Army of the Rhine. The French republican calendar replaces the Gregorian calendar. It is implemented retroactively and will be used until January 1, 1806. Rossignol is the new commander of the Army of the Coasts of Brest. Muller is the new commander of the Army of the Western Pyrenees. His post is temporary. At noon, Lyon surrenders to the Republicans. The city and their federalist and royalist inhabitants, had been under siege since August 10, 1793. The commander of the Lyon's army, Louis-François Perrin de Précy, managed to slip away with 1,000 men and 200 cavalry early this morning. Turreau is the new commander of the Army of the Eastern Pyrenees. To punish and humiliate Lyon for its disobedience, the National Convention decrees the destruction of the city's square Bellecour, and that the city, or what's left of it, is renamed Commune-Affranchie (Liberated Commune). "Lyon fit la guerre à la liberté, Lyon n'est plus." "Lyon made war on freedom, Lyon is no more." First Battle of Wissembourg (Weißenburg, Weissenburg). 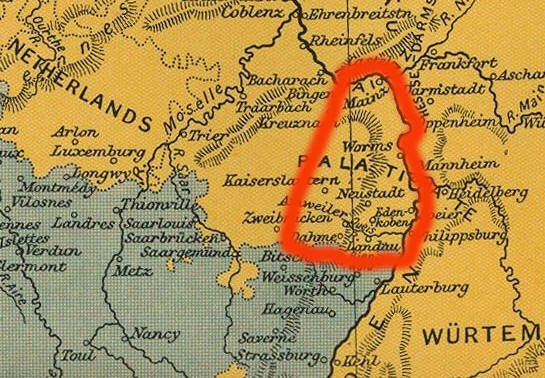 The Austro-Prussian army under Austrian General Dagobert Sigmund Wurmser and Prussian General Charles William Ferdinand of Brunswick push the French from the Weissenburger Linien. The Weissenburg Lines were famous entrenchments, constructed by the Duke de Villars in 1705 during the War of the Spanish Succession. The French will retake the Weissenburg Lines at the Second Battle of Wissembourg on December 26, 1793. Battle of Wattignies. French victory. Former Queen Marie Antoinette is guillotined. Battle of Cholet. Victory for French revolutionaries over French royalists. This battle is part of the Wars of the Vendee. Horatio Nelson and his vessel, the HMS Agamemnon, encounter French vessels and engage the French frigate Melpoméne. Nelson has to retreat. The Siege of Nieuport (Nieuwpoort) begins. The French attack the town but the British troops can resist. Marseille is recaptured by government troops, the counter-revolutionaries are crushed. As punishment, Fréron decides to rename Marseille the City Without a Name. It will be Marseille again on February 12, 1794. Pichegru is the new commander of the Army of the Rhine. The Siege of Nieuport ends. The French withdraw. Dours is the new commander of the Army of the Alps. Jacques Pierre Brissot (leader of the Girondins) is guillotined. Hoche is the new commander of the Army of the Moselle. The new French Defense Minister is Jean-Baptiste-Annibal Aubert-Dubayet. He succeeds Jean-Baptiste-Noel Bouchotte. Following their Order-in-Council from June 8, 1793, Great Britain issues another one today, which decrees that "all ships laden with goods the produce of any colony belonging to France, or carrying provisions or other supplies for the use of any such colony" will be seized. Dugommier is the new commander of the Army of Toulon (Siege of Toulon). Its former commander, Carteaux, will become commander of the Army of the Alps on November 18, 1793. French General Houchard ends his life on the guillotine. Carteaux is the new commander of the Army of the Alps. Battle of Kaiserslautern. France vs. Prussia. This battle will last until November 30, 1793. Battle of Kaiserslautern. The Prussians, led by the Duke of Brunswick (Karl Wilhelm Ferdinand,) defeat the French, led by General Hoche. This battle had begun on November 28, 1793. Doppet is the new commander of the Army of the Eastern Pyrenees. The National Convention confirms the creation of the Revolutionary Government by passing the Law of 14 Frimaire, year II. 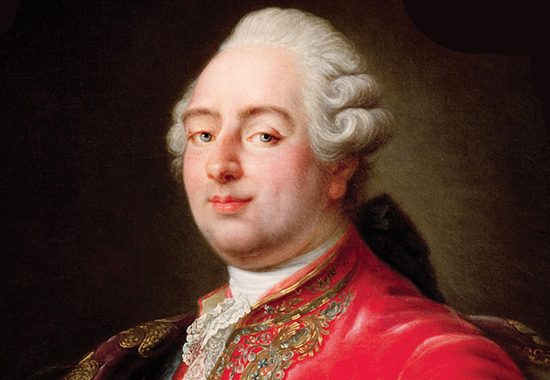 The Marquis de Sade, currently at Paris, was arrested (again). Battle of Le Mans. Victory for French revolutionaries over French royalists. This battle is part of the Wars of the Vendee. 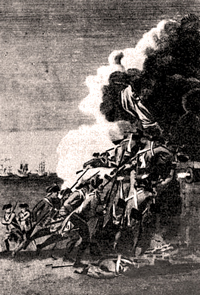 After 4 months of siege, the French revolutionaries enter the city of Toulon. The Siege of Toulon is over. Man of the day is the 24 year-old Napoleon Bonaparte, who will get promoted to brigadier general for his performance in this siege. At the beginning of this struggle, Bonaparte had been a commander of artillery. He subsequently was promoted to major (in September) and to adjutant general (in October). The British have to evacuate Toulon and will focus on Bonaparte's childhood stomping grounds, the island of Corsica. See June 15, 1794. Battle of Woerth / Wörth. (Battle of Froeschwiller / Fröschweiler). French victory over the Austrians. Battle of Savenay. Victory for French revolutionaries over French royalists. This battle was part of the Wars of the Vendee. Pellapra is the new commander of the Army of the Alps. Turreau is the new commander of the Army of the Coasts of La Rochelle. The goal of a constitutional government is to conserve the Republic, that of a revolutionary government is to establish it. Revolution is the war of liberty against its enemies. The Constitution is the victorious and peaceful rule of liberty. These notions are sufficient to explain the origin and nature of the laws that we call revolutionary. Those who call them arbitrary or tyrannical only want the resurrection of tyranny and the death of the country. Second Battle of Wissembourg (Weißenburg, Weissenburg), also called Battle of Geisberg. French generals Pichegru and Hoche retake the Weissenburger Linien from the Austrians and Prussians. The First Battle of Wissembourg had been fought on October 13, 1793. The Austrians and Prussians pull back to the other side of the Rhine River. Alsace is French now. The Austro-Prussian siege of Landau is raised. The siege had begun on August 1, 1793. French General Charles Pichegru, commander of the Army of the Rhine, and French General Lazare Hoche, commander of the Army of the Moselle, enter Landau. The besieging Austro-Prussians withdrew after their defeat at the Battle of Wissembourg on December 26, 1793. Also on this day: Thomas Paine is imprisoned. He will stay behind bars until November 4, 1794, including. The French guillotine their General Biron.